The world is filled with SUVs it seems. From plain to opulent, a buyer can have a vehicle that can carry people, groceries and all the other things that families need. Rather than simply getting us from point A to point B, an SUV gives us interior room, cargo space and the power to haul it all around. The SUV market is a crowded one. Every major manufacturer has one, or two. They are small, large, simple and unadorned, large and luxurious. It fact, it seems that every week we are sent yet another SUV, or crossover as the smaller ones are apt to be called. In this crowded market an SUV really needs to stand out, it needs to separate itself from the rest, stand up, rise to the top. 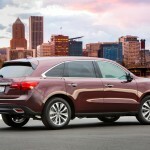 The Acura MDX has consistently been at the top of the SUV market. 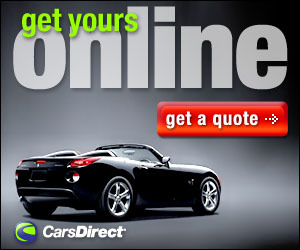 It isn’t flashy, nor big, but it is reasonably priced, reliable and has good resale value. We had never had any real time behind the wheel of Acura’s best selling SUV until a recent week spent with the 2016 MDX. While the styling hasn’t changed since 2014, the 2016 MDX gets significant upgrades including new features, technologies and a new nine-speed transmission. It’s a seven-seat crossover that comes standard with a great many nice things: LED headlights up front, a power liftgate in the back, and a sunroof on the top. There’s privacy glass, keyless entry and ignition, heated eight way power front seats with memory settings for the driver, tri-zone automatic climate control, and a power tilt, telescoping steering wheel. There are twin dash displays, a 7-inch touchscreen below an upper 8-inch information display, a multi-angle rearview camera, Bluetooth, Siri Eyes free for the Apple aficionados and eight-speaker sound system with a CD player, an iPod/USB interface, featuring Pandora and Aha compatibility. The AcuraWatch Plus package adds forward collision mitigation system with automatic braking, lane-keeping assist, Road Departure Mitigation and adaptive cruise control. The MDX Technology which is available with or without the AcuraWatch Plus package, adds a navigation system, voice controls, a color driver information center, AcuraLink and a 10-speaker Acura/ELS surround-sound audio system with HD radio. Also included with this package are 19-inch alloy wheels up from the 18-inch, rain-sensing wipers, rear-door keyless entry, GPS-linked and solar-sensing climate control and a safety systems including lane-departure warning, blind-spot monitoring with rear cross-traffic alert and a forward-collision warning system (but without the automatic mitigation braking that’s part of the AcuraWatch package). 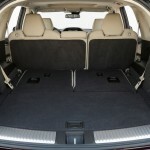 Moving up to the Entertainment trim level means you have to get the Technology package and adds a 110-volt power outlet, heated rear seats, rear door window sunshades and a rear-seat DVD entertainment system with a 9-inch screen and an additional speaker; you can also add the AcuraWatch Plus. The Advance trim level has the Technology and the AcuraWatch Plus package, and adds roof rails, front and rear parking sensors, remote engine start, automatic engine stop-start, auto-dimming sideview mirrors, upgraded leather upholstery, ventilated front seats, and power lumbar for the front passenger along with heated second-row seats. Our tester for the week was the top of the line Advance and Entertainment trim level, which combines the features of those two lower trim levels while adding an upgraded rear-seat entertainment system with a bigger 16.2-inch screen, another speaker, bringing the total to 12, and an HDMI input. Under the hood the 2016 MDX now has optional all-wheel drive and is still powered by 3.5-liter V-6 the produces 290 horsepower at 6,200 rpm and 267 pound-feet of torque at 4,500 rpm. Also new for 2016 is a new 9-speed transmission that replaces the 6-speed. This new transmission is controlled via a push-button electronic gear selector on the console. It’s a bit odd to get used to, but does the job it’s intended to do and saves a bit of room. Another new feature is auto-stop start which shuts the engine down at a stoplight. This feature is supposed save fuel, but like on other vehicles that have the same feature we find it almost painfully annoying to wait a moment for the engine to catch up when the light turns green, thus overrode it for our week. 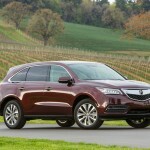 Acura left the exterior styling alone and the MDX still looks more like a large station wagon than anything else. The inside however, in our opinion, could use a little refreshing. 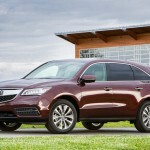 See Acura is the luxury brand from Honda, thus the MDX should then be considered luxurious. The interior however seems far from that. In fact it’s plain, with little style. Sure, it’s functional but the displays on the screen seem a bit outdated and we question the necessity of two separate screens. As for seating there is a third row, but it’s sort of hard to get to and with the floor set up seems more suited to children than adults. 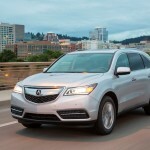 On the road however the MDX does stand out from some of the other crossovers we’ve tried. The Integrated Dynamics System (IDS) allows for settings ranging from comfort to sport. The power is more than adequate, but the nine-speeds seem to be a bit much. 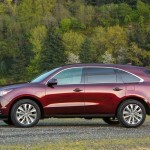 The MDX competes with the Volvo XC90, the Lexus RX, the Buick Enclave, the Audi Q7 and the Infiniti QX60. We had a QX60 the week prior to the MDX. While there was more power and a better drive, in our opinion, in the MDX, the QX60 like the others in the class had a better, more refined and luxurious cabin and appointments, along with a better interface. 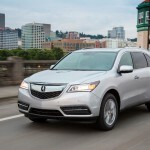 The MDX may be considered a luxury crossover and with a price nearing $60,000 may cost as much as the others, but to be honest it is too plain to us to stand out. And that’s a shame. 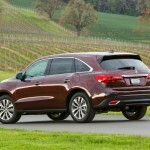 Because the drive of the MDX is very good, better than many of the others in its class. The problem is however that the others in the same class look much better, and have more style, especially on the inside. 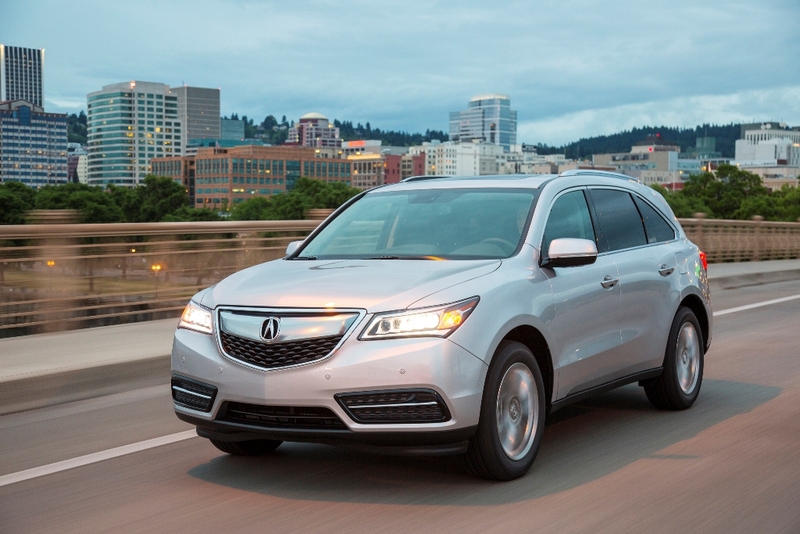 The MDX is good, but can be so much better. 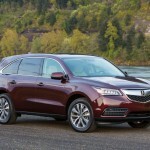 If Acura decides to update it and bring it closer to others in its class without messing with the way it drives, the MDX could be the leader of the pack, instead of something that could possibly fade into the background. Drivetrain: 6 yr./ 70000 mi.